Spring Lilacs will always remind me of my mother, Eunice. She had several wide and tall lilac bushes in our backyard, in an area called "the North 40" even though it wasn't in the north boundary of our yard. I think it was just a farm term she or my father had heard at one time and liked the sound of it. In the spring we always monitored the blooming cycle of the lilacs in the North 40. So I invite you to walk into the picture of these lilacs. Of course you have to smell the lilacs because there isn't a better smell in the spring time. 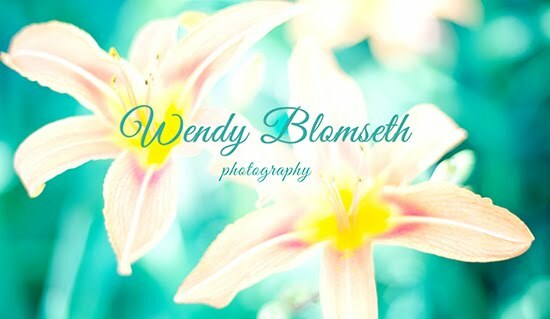 Touch the tiny petals and notice the graduated shade of the color purple. Some will appear darker, some lighter if they're affected by the sunshine. That morning eastern light gives it a beautiful glow. The vase is very special, too, because it is a collectors item from the Red Wing Pottery Company from Red Wing, MN. People that collect these, love them. Lastly, the little table stand was actually crafted by my husband's late father, Carl whom I never met unfortunately because he passed on before we ever met. What do you think of when you see this image? Does it remind you of anyone? 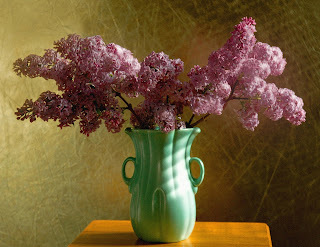 Or, are you simply a fan of spring lilacs also? 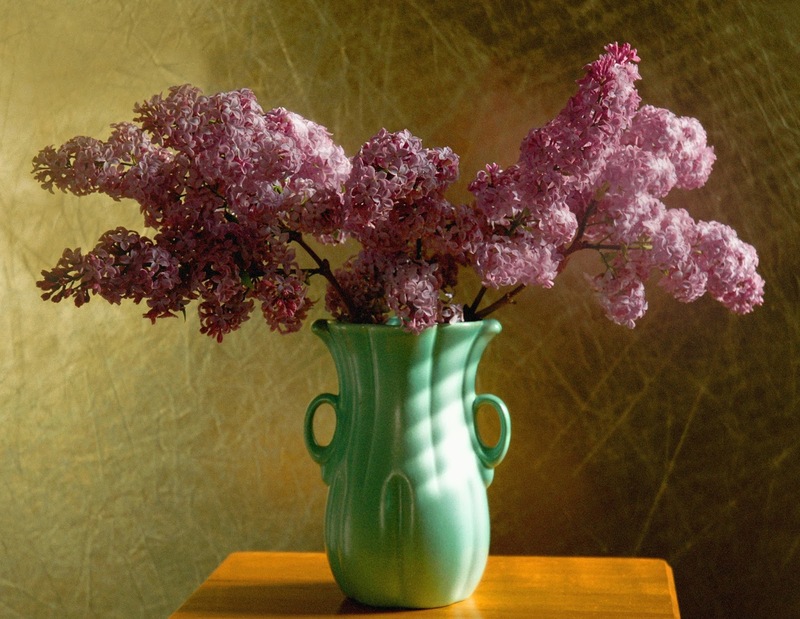 However it calls to you, look at the still life portrait but feel the love of someone else and call it by their name as you enjoy the sight and smell of these spring lilacs.